With over 30 years experience NAGEL building & carpentry is a Adelaide-based residential construction company, We work with architects and home owners to deliver extensions and renovations with a focus on quality. We pride ourselves on our quailty service and clients relationships and know that successful projects don’t simply happen; they’re the result of attention to quality, communication and price transparency. We welcome the challenge of working on and delivering complex residences and we’re willing to challenge the norm and solve problems to achieve outcomes our customers and home owners can be proud of! 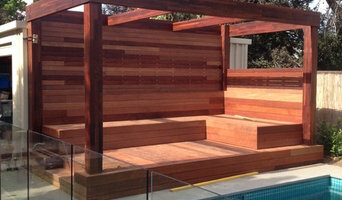 TCM Carpentry is an Adelaide based company that has over 15 years experience in the carpentry and building industry. We are a small company that prides itself on customer satisfaction and quality of workmanship, so from the small to the large jobs we work very hard to give you the finished product you require. TCM Carpentry has the skills and knowledge to perform a wide variety of work from extensions and renovations, decks and pergolas to repairing fascia boards. Upon inquiring with us you will have an on site consultation to discuss the work that you wish to undertake followed by a promptly delivered written quote which states the scope of works and what materials are to be used, all is free of charge. Upon the completion of your work all the building rubbish will be removed. JDB Carpentry carries out a variety of renovation, extension and additions work, such as: Extensions and Additions New Custom Built Homes Bespoke quality kitchens Bathroom Renovations Kitchen Renovations Manufacture and installation of bespoke windows and doors Concrete benchtops and furniture Bespoke Joinery such as built in cabinetry Outdoor Rooms JDB Carpentry is a small company, headed by Jon Bingham who has been in the building industry both in Adelaide and the UK for over 30 years. He has a hands-on approach using a selected team of trades to complete all work to an excellent standard, his attention to detail ensures that most of our work is through recommendations. JDB Carpentry are renovation specialist, with vast experience in all types of renovations, extensions and additions. All our joinery is manufactured in our own workshop to Client specification, which means that you have exactly what you want with a high quality finish. We are a team of experienced carpenters working in and around Adelaide, we specialise in the highest quality first-fix carpentry on new homes; renovating existing homes with extensions and car ports; and creating exciting outdoor living areas by building pergolas, decks, alfresco areas, bali huts, carports, outdoor kitchens and much more! Our fully-qualified, professional carpenters provide a range of carpentry services in and around Adelaide, to the highest standard of workmanship and service – at competitive prices. 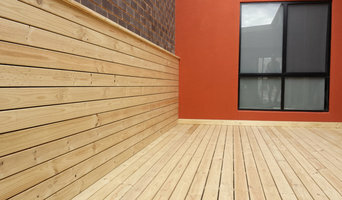 If you would like a quote, or to find out more about the carpentry services we provide – please contact our carpenters using the below information: For all enquiries in the Southern Suburbs, Adelaide Hills, Fleurieu Peninsula and surrounds , please call Damion on 0449158200 For all enquiries in the City, East, West and Northern Suburbs, please call Andrew on 0422446724 Alternatively, please submit the contact form below and one of our carpenters will be in touch promptly. Bradlee Carpentry and Construction provides reliable and quality carpentry work that you can trust to build, renovate or extend your home, or to create a new outdoor space. From pergolas to second storey extensions, our Adelaide based business can take care of all your carpentry needs. At Bradlee Carpentry & Construction it is our goal to make the building process as simple as possible with reliable and affordable services. Servicing clients throughout Adelaide we take the time to understand your needs. Whether you're building a new home or want to renovate or extend your current property, we have the building service for you. Call or email us today for a free quote. I have a passion for Carpentry going back to when I was a little boy. My Uncles and Opa were Carpenters, they would take me onsite to help, whether it was hand nailing brace sheet or cleaning up the site, i loved being there amongst it. Building runs through my blood. There is so much satisfaction going from plan to finished product and I love producing high quality builds. Softwoods is a family owned South Australian company that has been trading for over 30 years. We feel that in that time we’ve developed a business that is representative of what we would like to deal with if we were building in our yards. We are independent, community minded and environmentally conscious, as well as being intensely focused on our customers experience. MARSH PROJECTS BUILD & CONSTRUCT was established in 2015 by trade qualified carpenter Joel Marsh and we are quickly gaining a reputation for our high quality Domestic & Commercial Carpentry and Fit Out work. We are a company built to provide a diverse range of projects for our clients in a professional manor on time and budget. Our qualified team of trades and construction industry experts are well equipped to deliver a construction project that has a strong focus on quality along with safety and environmental procedures. Our principals of honesty, integrity and accountability are all evident throughout our entire business from our estimating team, administration, trades and project management. Oliver's Carpentry has been operating for 6 years. 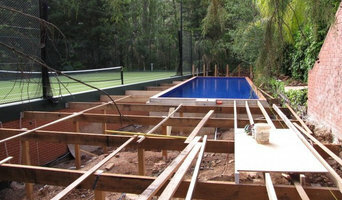 We have a team of carpenters available to take on a wide range of carpentry projects. While we predominantly cater to Commercial Builders we can also provide carpentry for, new homes, extensions and Property Maintenance. We offer premium service and have a strong focus on training our apprentices and staff in a wide range of skills and areas of carpentry so they can undertake and solve all the challenges the construction industry has to offer. Burnside Building & Maintenance Services has been in business for thirty five years. We provide services for residential and commercial clients. Our contractors offer low overheads. About Us: Burnside Building & Maintenance Services came to fruition thirty five years ago by two contractors who specialise in carpentry work. We handle residential and commercial jobs. We offer low overheads and normal standard warranties. Our contractors accept cash, cheque and direct deposit as modes of payment. We have standard hours of operation, which are from 8 am to 6 pm, Monday to Friday. Our business is currently located in the state of South Australia. Service Overview: We provide various handyman services, which include basic bricklaying, carpentry, concreting, window and door repairs. Our contractors also handle furniture assembly, gardening, lock repair, basic painting, plastering and shower base repair. Our team of professionals specialise in basic tiling, renovation, heritage repair, extension, fencing, paving, picture and mirror hanging as well. We also construct pergolas, verandahs and carports. Years of Experience: Our years of experience are what set us apart from other businesses. Thirty five years is a long time and our company has thrived because clients love our workmanship so much that they choose us as their official go-to guys any time they need a handyman! Proper Work Etiquette: One of the reasons why customers love our workmanship so much is because of our proper work etiquette. Before starting a project, we make sure that we have a clear knowledge of what the client wants us to do so that our finished project is exactly what our client envisioned. We also immediately ask how much their budget is so that we can create a proper estimate. Contact us today! Southern Cross Workforce is a premier provider of recruitment and labor hire services to businesses in Adelaide. Southern Cross Workforce has a proven and ongoing record of providing professional and reliable services to fill temporary and permanent roles across a wide range of sectors. Offering an unrivaled recruitment service, our experienced consultants match clients and job seekers through an extensive candidate database and by using a thorough and effective assessment system. 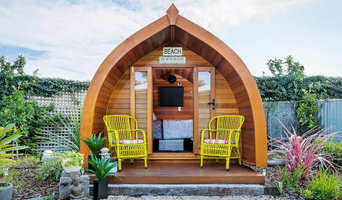 The work of carpenters in Scott Creek, South Australia is wide and varied, so many choose to specialise in a particular line of work. Any qualified carpenter in Scott Creek, South Australia should be able to perform general carpentry work involving framing and the installation and repair of timber structures and fixtures, while other jobs may require a specialist. Scroll through this page to find carpenters and woodworkers in Scott Creek, South Australia. You can browse their latest projects, read reviews and see how other homeowners rate their work, and message them directly.